Press releases, media mentions, industry commentary, internal company news and announcements from Energy Matters for 2010. Energy Matters recently installed a 6kW solar power system at Australia Post’s Melbourne CBD headquarters as a part of a long term commitment by Australia Post to minimise its carbon footprint. Read more. Energy Matters has announced a supply agreement for the purchase of 20 megawatts of REC Peak Energy solar panels, enough to power over 5,000 Australian homes and reduce electricity generation related carbon emissions by 32,000 tonnes a year. The agreement is Renewable Energy Corporation’s (REC) biggest deal in Australia, and one of the largest single solar panel supply agreements in Australian history. Read more. Op-ed from Energy Matters Managing Director Jeremy Rich on the recent cuts to the New South Wales Solar Bonus Scheme, solar power’s role in electricity price rises and the future of solar feed in tariffs in Australia. Read more. Energy Matters has thrown its support behind a rally convened by the Solar Energy Industries Association (SEIA) and the Australian Solar Energy Society (auSES) to protest the NSW Government’s decision to slash the states feed-in tariff, the Solar Bonus Scheme. Read more. The NSW Government’s decision to reduce the rates paid under its generous solar power feed in tariff program, the Solar Bonus Scheme, has strengthened the case for a national, uniform system. Read more. Energy Matters showcased its bright new brand design last week by launching its new look website; along with additional enhancements to streamline the company’s online shopping experience. Read more. Energy Matters co-founder Max Sylvester expresses concerns over big business heading discussion on how to implement a carbon tax in Australia. Read more. Energy Matters hits backs at a dirty campaign launched against solar power in Australia.. Read more. The Right Time Buy A Solar Power System? In breaking news, Energy Matters has announced a startling discovery, set to turn the nuclear industry on its head. Read more. The recommendation by BHP Billiton boss Marius Kloppers that Australia should move quickly and establish a carbon price has been welcomed by Energy Matters’ co-founder, Max Sylvester. Read more. While Australia started the working week still not knowing who will take the reins of the country, the Greens having won the balance of power in the Senate is very good news for renewable energy says Energy Matters co-founder Max Sylvester. Read more. By establishing a single governing body to oversee renewable energy projects Australia could leap to the head of the global renewable race. Read more. National solar power solutions provider Energy Matters has been selected as a finalist in the Environment category of the Melbourne Awards. Read more. ATRAA, Australia’s largest solar industry conference, will take place at the Alice Springs Convention Centre this week. Read more. Energy Matters co-founder Max Sylvester has expressed concern about the short time-frame in which schools have to submit applications for the new round of the National Solar Schools Program. Read more. Energy Matters CEO Jeremy Rich has been nominated for Ernst & Young’s Entrepreneur Of The Year (Southern Region). Ernst & Young’s Entrepreneur Of The Year award program has been running for a decade and is considered the world’s most prestigious award for entrepreneurs. The awards ceremony will be taking place on Thursday 26 August at the Regent Theatre Plaza Ballroom. Jeremy Rich’s profile can be viewed here. Energy Matters’ Tasmania branch recently joined the Tasmanian Chamber of Commerce and Industry (TCCI) as a gold member. The TCCI is a not-for-profit organisation run for members by members in the interests of all Tasmanian businesses and their families. TCCI’s purpose is to ensure that Tasmania is the best environment to do business socially and economically. 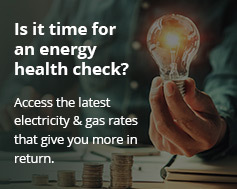 Learn more about Energy Matters in Tasmania. The installation deadline for recipients of Australia’s Solar Homes and Communities Program (SHCP) looms large, with less than 5 weeks to go. With some solar providers backlogged with installations, coupled with a shortage of critical components, thousands of SHCP recipients are in danger of losing the $8,000 rebate – with little likelihood of extensions being provided by the Government. Read more. Energy Matters is proud to announce that EM team member Jan Stockley has been awarded the Best 1st Year Apprentice (Electrical) in the Geelong Region. Jan just recently decided to become an electrician, completing the first year of his apprenticeship under the supervision/employment of Energy Matters. Even though Jan is a first year apprentice, he has 6 years experience in solar design and install/supervision. Jan has been involved in the solar industry since 2004, since the start of CEC accreditation. Jan is fully accredited for design and installation of remote and grid connect systems and supervision of grid connect systems – for both solar and wind power. Australian Solar Rebate Instability Continues – Government rebates and incentives certainly help make acquiring a system much cheaper and speed up return on investment; but solar rebates and incentives in Australia have been somewhat a moving target over the last 10 months, causing confusion for consumers and industry alike. Read more. The Rudd Government says it will set a minimum value of $40 on Renewable Energy Certificates from January 1 next year. The Opposition wants to bring that forward to July this year. National solar power provider Energy Matters isn’t willing to wait even that long. The company has announced it will pay the $40 per REC to purchasers of systems acquired through Energy Matters, effective immediately. Read more. Electricity retailers undermining Australia’s solar power future? Through feedback from clients, Energy Matters has been made aware some Australian electricity retailers appear to be making it extremely difficult for people to fully benefit from solar feed in tariff programs. Read more. While feed in tariffs exist in most states and territories of Australia; Tasmania remains in the backwaters of solar power generation through lack of solid incentives. Energy Matters questions why no state party has taken up the cause given looming elections. Read more. A petition started by Energy Matters calling for a national, uniform gross feed in tariff for solar power has reached the 20,000 signature milestone. Read more. The recent announcement of the government Green Loans program being scrapped has upset a number of Australian home owners currently in the process of applying who had hoped for loans to install home solar power systems. According to participants in an ongoing discussion currently occurring on Energy Matters’ solar power forums; the reason uptake of the loans has been so low is due to major failures in the system and multiple obstacles needing to be overcome before getting to loan application stage. Read more. The Renaissance Supa IGA supermarket in Hawthorn, Victoria, is leading the Australian retail sector in reducing its carbon emissions by switching to solar power.. Read more. The name Solarfun to some people is reminiscent of good times at the beach rather than high quality solar power components. Nevertheless, that’s exactly what Solarfun products are – and at a very economical price. Read more. A new free iPhone and iPod Touch app (application) from national solar solutions provider Energy Matters takes assessing a site’s suitability and solar electricity production potential out of the sole domain of installers and into the hands of home owners. Read more.